I am constantly amazed that people I do not know will ask me to "Re-Tweet" their messages on Twitter...OR... they write me and ask me to blog about their products and services. If I do not know anything about these people, why would I endorse their causes? You would not show up at my house, introduce yourself, and immediately hand me 1000 brochures about your business and ask me to hand them to my neighbors (would you?). But in the "social media" world too many people have forgotten the "social" part. The rules of etiquette and creating real friendships still apply. Establish a relationships first. Take actions to help them in some way. Make it something BIG, not some trivial thing (so that you can guilt them into helping you). After you have created and cultivated a mutually beneficial connection you have the right to ask for favors. And to the total stranger who both asked me to Re-Tweet and Blog about them today... YES, you did inspire this rant!!! Your career is like a tree. It needs roots at the foundation in order to grow tall. The roots are a your education, reputation, and experience. They are vital, but they are hidden underground. Nobody cares. Yet the roots are only part of the tree. Your unique qualities of your career (your tree) cannot be hidden in the shade or under a blanket. If you want to expand your influence and reach for the highest levels you must do so out in the open... where everyone can see you. Yes, there is risk if you try to grow in the open field that someone will run over you with a lawn mower when you are still just a sapling. But successful people do not live in fear of failing. They try. I talk with a lot of professionals who have their whole identity based on the roots. They care far too much about the past, and have nothing solid in the present or future on which to weave their signature story. But when I describe the beauty and wonderment of a tree, I might never speak of the roots. It is the trunk that grows to the sky, the branches that stretch in a variety of directions, and the leaves that glisten in the sunlight that make a tree spectacular. I asked an attorney who was laid off from a large firm what would make him desirable to a new firm. His reply referenced his nearly perfect GPA in law school... five years earlier. He also mentioned the importance of having attend Harvard. My guess is there are lots of people who have graduated from Ivy League schools with good grades. That does not make him stand out. It makes him part of the pack. If he spends his whole life thinking he is a good lawyer because of his success at Harvard he will be mowed over and left for dead. Think about your own career. Ask yourself what makes you a good job candidate, a great employee, or a fantastic boss (or entrepreneur). Then ask "does that REALLY make me unique or part of a big group who can say the same thing?". If you are part of a pack, then that is not a differentiators. You are plain. Plain is not bad, but it is not something that makes others talk about you in the greater business community. Seth Godin talks about this in his book "Purple Cow". While driving through the country side his kids became bored with seeing brown cows in the fields. They no longer noticed the cows. But if there had been a purple cow in the meadow... that would have gotten a lot of attention!!! How can you stand out from the competition? Does it even matter to you if you are unique? Are you proud to be plain? How tall do you want your tree to grow? Like blood flowing through your arteries bringing oxygen to your cells, career success requires a complex network of connections that will deliver opportunities to each other. And like your body, your network is a detailed ecosystem. If one area breaks down, the whole being can be slowed down by illness. Are you the weak link in your network? Are you contributing to the well being of others? Most people like the idea of helping people. They talk about it, but when the chance arrives where they can make an introduction, a referral, or just sing the praises of someone...many drop the ball. They are either too busy to notice the importance of the connection or they get a ping of "what's in it for me?". In our society, especially in though economic times, people have become very self-focused. We cannot avoid it. We are all guilty (I am not preaching here... this is as much a reminder for myself). Everyone is trying to find their own way in the world, which makes it easy to forget that we might hold the key that opens the door for another person's victory. Discover how you can reap more rewards by helping others. The cliche "a rising tide raises all ships" is true (most cliches are). When you are a catalyst for good, then you will also be the recipient of good. The most successful people (financially, emotionally and spiritually) not only focus on their own victories, but seek out situations where they can launch others to victory. Opportunities to make a difference exist. What do you think? Who do you know what are true "catalysts for good"? Do you just say you want to help people succeed or do take action? Relocating to a New City? - Twitter Can Pave The Way! When Jenna Oltersdorf and her husband Eric made the decision to relocate from Chicago to Austin to be closer to family, they had no idea that Twitter would help propel them ahead in both their business and professional lives. Jenna and Eric are the owners of SnackBox, a public relations and design firm, now headquartered in Austin, Texas. They founded and grew the company in Chicago, but the desire to be closer to family lead them to Austin, where Eric's sister and her husband are raising two young children. Jenna is an only child and Eric has the one sister, so being part of their family and seeing their nephew and niece grow up meant being in Austin. Jenna originally joined Twitter in January 2009 with the thought that it would be a marketing and PR tool for their company. She soon realized that it was really more about communications and relationships, and instead of selling herself, she began to engage people in discussion. Her outgoing personality made her a natural for Twitter, and she soon was creating conversations and expanding her network. She had grown up in the close knit culture of St. Louis. When you spend your whole life around the same people you establish a natural network. You don't have to think about it, as it just happens. But moves to both Charlotte, NC and Chicago taught her the importance of cultivating relationships and actively seeking to make real connections. People do business with those they know, like and trust... so a new move would mean starting over in building an inner-circle. In the spring of 2009, when the decision to come to Austin became official, Jenna began searching out Twitter's most active Austin voices. She introduced herself, listened, watched, and instigated dialogues with Austinites. As the moving date arrived she began to reach out to her Austin Twitter friends in search of service providers that could help the couple successful execute the move. Most important was finding a lawyer who could help them incorporate the business in their new state. She queried Twitter and quickly found a great attorney. She also started polling people on what business and networking organizations would make the most sense for her to affiliate with after they arrived. She has been in Austin less than a month and already is getting involved with Leadership Austin's Engage Program and serves on the board of a local non-profit. Not only did they provide a long list of business services, her new Twitter friends also shared other interesting Austin factoids and recommended restaurants, best areas to shop, dentists, doctors, and real estate agents (The Oltersdorfs did not need a real estate agent, as Eric's brother-in-law is Clayton Bullock of Moreland Properties, one of Austin's top agents!). Since she got to Austin Jenna's calendar has been full, as her local Twitter Friends are actively signing up to meet her face-to-face. I spent an hour with her today at the Starbucks in Westlake and found her to be blessed with a double dose of entrepreneurial spirit. She is excited about growing her company in the city where she expects to live for the rest of her life. While she was not born in Austin, she has that "can - do" attitude that makes this community special. Additionally she has that "givers gene" that leads to success and win/win for everyone. I have found many people talk about it, but few people (maybe 5%???) really go out of their way to take actions to help others as a natural part of how they do business. Jenna is one of those people! I predict we see big things from Snackbox over the next few years. I would like to extend a TEXAS SIZED welcome our newest neighbors, friends, and Austinites!! Eric and Jenna Oltersdorf - I wish you much success in Austin!! (I have not yet met Eric, but look forward to meeting him). I got here 18 years ago and have never looked back. I hope that the city is as wonderful of a place for your family as it has been for mine. Today's guest blogger is Aaron Pottichen. Aaron is a financial advisor with Merrill Lynch who works with individuals that have gone through career transitions and helps them restore confidence and clarity in their investment and retirement plans. Don’t Orphan Your Retirement Assets! As a Financial Advisor, I have had many conversations with individuals and while discussing their retirement investments it is pretty common to discover that they have orphaned retirement assets at an old employer. And when we have gone through a market that has had such dramatic volatility it can be very detrimental to your future retirement lifestyle to not keep those assets close and be aware of how they are invested. So, what does this mean? What’s the big deal you might be asking? Well, the big deal is that for many people their 401k represents a large portion of their future retirement assets, yet when they lose a job, the data shows it’s the first thing close to half of the people tend to ignore. I’m here to tell you that finding gainful employment or generating income for your lifestyle is important, but DON’T ORPHAN YOUR RETIREMENT ASSETS! For many people, the lost of job can be a traumatic and scary situation. What to do about the mortgage, insurance, groceries, the subscription to Tattooed Dogs magazine and all the other stuff we need income to pay for. Instinctively, we go into survival mode. Even those with all the talent and connections in the world have these thoughts rush through their head. And when we go into survival mode, we tend to ignore and neglect those things that don’t help get us out of it and focus on things that will, i.e., find another job or source of income. Now, I know some of you may read this and think I may be going a little overboard, but recent data clearly would suggest otherwise. My advice for anyone going through a job transition is to be aware of what options they have regarding their company retirement plan assets. Take the blinders off for an hour or so regarding finding another job or source of income and educate yourself. If you find the whole task daunting and time consuming, contact a financial professional to assist you. Leaving a job can be tough, just don’t make it tougher on yourself and orphan your retirement assets along the way. My former employer, vcfo, has many great examples of why outsourcing key functions can help a company in good times and in bad. The below was a recent success story from vcfo - Dallas. I decided to post it here as it is a great reminder that when you find the right partners, success is possible in any economy! Dallas, TX (PRWEB) September 21, 2009 -- Keste, a certified Oracle provider, grew from a dozen employees to more than seventy in four years and attributes a large part of their success story to vcfo, a professional services firm. Keste was formed in 2005 to provide Oracle solutions and custom application development, specializing in high technology, telecommunications and heavy industry sectors. From the moment it was founded, Keste engaged vcfo to provide services such as financial modeling, long-term strategic planning and operational accounting. Keste founder and CEO Howard Moore selected vcfo to benefit from an outsourcing model of bringing in expertise and leveraging established resources. "The vcfo team allowed us to print financials from day one, giving us credibility in the market and favorable terms with our bank. Knowing that our financials were in good hands really allowed me to focus on my core business and maximize our revenues." The vcfo team implemented processes and procedures to improve Keste's workflow, which allowed for increased efficiency in the management of the business. vcfo participated in weekly executive management meetings to contribute to the strategic planning, allowing for financial reporting to evolve as a management tool. The team also established parameters to prevent cash flow constraints and to reduce payment problems from customers. Moore summed up his experience as a vcfo client by saying,"vcfo is a great model to plug into, top quality talent with a fresh view of the company and suggestions for improvement. Anytime we need to extend our in-house department, it's good to know we can leverage vcfo." vcfo is a professional services firm that offers a customized team model to assist companies with finance, accounting, recruiting and human resources needs. vcfo uses a custom approach to create an optimal, flexible team of highly trained vcfo employees to address your particular requirements. Not only do you get the right level of resource, but you pay only for the time you need it. As trusted advisors to the CEO and management team, vcfo team members across the country use an original platform, industry best practices and proven methodologies to help solve the most complex operational business issues. vcfo is based in Austin, Texas with regional offices in Dallas, Denver and Seattle. For more information, please visit www.vcfo.com. Keste is a Certified Oracle Partner that solves real business problems by developing and delivering solutions that improve the way you do business in the service economy. With the strong relationship with Oracle Architecture and Development Teams, Keste has the skills, experience, and organization to surpass client expectations. Keste maintains a worldwide presence with offices in Dallas, Texas and Hyderabad, India with customers in North America, Europe, and Asia. For more information, please visit www.keste.com. The business world has had some tough times over the past year, and many companies have had to make tough decisions in regards to their employees, benefits, spending, etc... All of the hard choices have had an impact on corporate culture. If the culture in your company has gone sour, you can be sure of one thing: As soon as the job market opens up again (and it will happen), there will be a mass exodus out of your office. Just because your best employees are showing up everyday does not mean that you have not already lost them. I talked with someone this week whom was worried that there are too many "behind closed door" meetings between his employees. He wants to believe that people like working in his company, but the reality is that the once good culture has evaporated with the economic conditions and severe changes they have had to make in the business. Taking action now is the only remedy. While the government and the media are singing the chorus of "the end of the recession", the trickle down effect will take a while to reach small and mid-sized business. The longer you ignore the problems in your culture, the harder you will be slapped once your employees and co-workers have other options. The solution is to empower your people to be the solution. There is no magic dust that fixes culture issues, but honest and open discussions are the answer to secret chats that your people might be having behind your back. Network inside your company. If you spend all your time focusing on developing relationships with clients, prospects and referral sources.... but never grab a beer with your people, then you have no culture. Take advantage of the holidays and instead of canceling the company holiday party or scaling it back, host a pot-luck in the home of one the organizations executives. Having people come together, especially inside someone's house, helps creates bonds that help overcome all the B.S. that comes with the economic roller coaster. Take the time to make an effort, or pay the price later! Things move fast in today's world. You are constantly being watched and opinions are being created at record speed. Your personal and professional reputations are no longer separate. People do business with those they know, like and trust.... and social media makes many think they know you (even when they don't!!!). If you want to succeed in your career you must take ownership of your future. Regardless of if you want to find a new job (been laid off? ), advance within your current company (been a team player during the recession? ), or branch out on your own (time to be your own boss!!!) you have to care about your networking and branding efforts. Here are the top seven ways to stand out and guarantee career success. 1. Know your strengths and weaknesses. Be honest with yourself about what you do well, and the areas where you come up short. Do not try to be all things to all people, but instead be the best in the areas where you can dominate over your competition. 2. Identify how you are important to your business community. When you develop a strong network and brand, people will be aware of your actions. Know the ways that you are adding value to those in your circle of influence and make sure they are conscious of this as well. 3. Let others know what you want to accomplish. If you have a goal and you keep it to yourself, then there is one person who can find the quickest path to success (you). When you communicate your desires to other people then you have an entire team of people who can discover the way to your victories. 4. Help others succeed. Helping others will not take time away from your own pursuits of success. Instead it is the fastest way to create loyal friends and a reputation as somebody worth knowing. Too many people say they will help others after they reach the top, but never get there. Instead, help people all along the way and you will see others pushing and pulling you toward your goals. 5. Show up. You cannot establish a reputation if you only spend your time at work and home. You have to network, which often involves participating in industry and civic organizations. 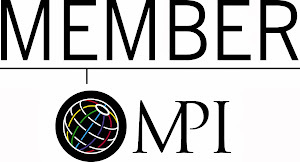 Just joining these groups does you little good, you need to be a visible and active member to reap the rewards and harness the power of business relationships. 6. Find a mentor. Those who have climbed to the top are often full of wisdom and short-cuts which they are happy to share with others. Seek out mentors who can help you master your skill sets and spread the word about the value you bring to the business ecosystem. 7. Speak, write, publish. Position yourself as the expert and you will be seen as such. The fastest way to establish your professional reputation is to speak on industry panels and write articles for trade publications. If you feel you are too shy to do this, then realize you are handing your highest levels of success to a competitor. In all economic conditions there is a need to pay attention to and cultivate your career. Few people reach the top by accident. For more tips to energize your career, read my new book "Batteries Not Included: 66 Tips to Energize Your Career" (New Year Publishing, 2009). 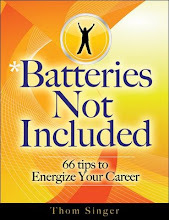 The Spin Strategy Blog reviewed "Batteries Not Included: 66 Tips to Energize Your Career". Thanks to Tim Tyrell-Smith for his kind words. Tim has really created a great resource for job seekers with his Spin Strategy brand. I spend a lot of time on Twitter and this blog talking about helping others succeed. Famous best-selling author Zig Ziglar said "You can have everything in life you want, if you will just help other people get what they want". I have found this quote to be profoundly accurate. The most successful people I know are very giving. These are people who have succeeded financially, emotionally and spiritually. They enjoy lending a helping hand to others and take pride in seeing people achieve great things. Successful people are usually not jealous or fearful of the strides made by those around them. They also did not wait until they were on the top of the heap to start seeking ways to make an impact, they always had the desire to be of assistance. I had a conversation the other day with a person who claimed that most people he encounters have the "helping others thing" backwards. He said he knows many caring and giving people who think they have to succeed first, then help others. They get very focused on their own "stuff" and never have time to give a boost to the next guy. He is right. Many people want to help others, but they think that these efforts will distract them from their own cause. Just the opposite is true. When you find ways to be the catalyst to making others win, you win too! We discussed Ziglar's words... they are clear about the order.... help others get what they want first!!! Look around. There are lots of people who would benefit from your assistance. You need not invest a lot of time or money, but instead be confident that you can make a difference -- then take action. Don't think for a minute that you are not being noticed. The little things that you do in your life are recognized and recorded by potential clients. Something like a random blog post can lead to opportunity. I got a call from a potential client who wants me to speak to her Real Estate office. She is interested in the networking topic, and knows that her agents would benefit from my message, but she also wants a message of creativity and breaking out of the rut that has occurred to many in the rough economy. She asked if half my talk could be on networking and half could be on creativity. She wondered if I could deliver the first part as "myself" and the second half as my childhood imaginary friend, "Chuckie"? Her exact comment was "something like a Hannah Montana / Miley Cyrus concert" (thank goodness I have pre-teen kids or I would have had no idea what she meant!). She had read my blog post from last week about the re-discovery of my childhood imaginary friend (and his dog), and had spent time the rest of the week pondering the idea of a presentation delivered by "Chuckie". She believes too many people lose touch with imagination and it leads to everyone reacting exactly like everyone else. That is not a good way to stand out in a highly competitive industry like Real Estate. Hey, if Chuckie can write a guest blog post, he can speak to a business audience! I am not sure how I feel about my imaginary friend squeezing in on my business. I am fairly certain he will demand half the speaking fee! TEXCHANGE - "New Models for Venture Acceleration - Collaboration, Competition, and Just a Little Venture Capital"
The September meeting of the Austin Chapter of TEXCHANGE featured a seasoned panel of start-up veterans talking about the current situation entrepreneurs find in launching and funding their companies. Rob Adams - MOOT Corp. The competition for start-ups can often be real companies that offer steady paychecks to both potential founders and employees. While many MBA students leave college to launch businesses, many more would rather have six-figure jobs with big firms (those have dried up in the last year, too). To start a company you have to sacrifice. There is nobody out there any more who will fund large salaries for founders before there is any proven business. A decade ago the whole ecosystem revolved around raising venture capital. Every business plan had several rounds of venture funding followed by a fast exit strategy. This heady time (I worked in and around this climate in 1999 - 2001 and it was seductive to have hefty expense accounts and eat dinner at Sullivan's twice a week!!) is now known as the "Bubble" because it popped. Now it is easier to sell product than it is to raise money, so start-ups are forced to be more focused on client acquisition. Closing your first customer is more important than the details of the company formation. Unlike the years of unrealistic funding expectations, entrepreneurs today need to "put a dagger in their teeth and go close deals" (said Rob Adams). FYI...this is a good thing! When you don't have big sums of money in the bank you do not fool yourself into thinking that something is happening... when it is not! You do not need other people's money to get started, and a rough economy (like the last year) often sparks great start-ups. The panelists were bullish that there is a place for start-ups in Austin...and beyond. Since the "Bust" of eight years ago, Austin has never lost its technology start-up culture. There has always been a double dose of entrepreneurial spirit that is weaved through the city's business culture. But Austin is still in a bit of a "stealth mode" nationally as being the place to launch tech companies. But besides the Silicon Valley or Boston, other tech center cities still want to be like Austin. We do not see all the activity playing out in the paper, as most of the most interesting tech companies are bootstrapping, which does not lead to the same level of press coverage as big venture rounds. But they are out there (and many attend TEXCHANGE). The University of Texas is a big plus for Austin. The engineering and business schools have a good track record for putting out young ambitious talent, and helping these entrepreneurs launch and fund their companies. Coupled with the supportive and experienced entrepreneurial community, which desires to help, there is a foundation that makes Austin ideal for start-ups. Bryan Menell pointed out that "Austin does not need to be the biggest tech city to be the best!" The Capital Factory, Tech Ranch and other resources for entrepreneurs are all striving to be complementary to each other rather than competitive. 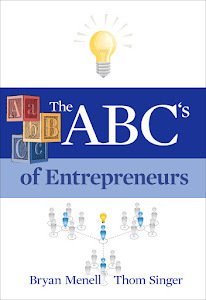 There are many areas that need to be served for different types of businesses and the variety of experience levels of the entrepreneurs involved. There is no one answer or group that can be all things to boost our tech community, and the panelists hoped that Austin would continue to experiment with ways that we can tap the green young energy of the college students, the drive of the established entrepreneurs and the support of larger corporations to foster more success across the board. Getting people together brings better ideas. One audience member pointed out that the people at his table, and everyone in the room, had the ability to help each other. If everyone in the room of over 100 people found a way to give a boost to another person.... we would see immediate positive impacts all over town. He is right. All opportunities come from people, and when we can get past our own wants and needs, it is often easy to be the catalyst that helps others (then it comes back around and someone helps us!). For more information on TEXCHANGE visit www.texchange.org. After a year of rocky economic news, layoffs, hiring freezes, budget cuts and other corporate belt-tightening measures, savvy business professionals are wanting to break out of the cycle of negativity that has surrounded much of the business community for far too long. While it has been a tough economy, real entrepreneurs are not ones to wallow in self-pity and ugly projections. Those who have the true soul of the entrepreneur want to grow their business no matter what is happening in the world around them. Waiting for an external answer is not how they operate, they create the solutions. The realization that you cannot save your way to prosperity is starting to hit home. Companies who had cancelled marketing programs, PR, in-house sales training, travel, attendance at industry conventions, client appreciation, and other externally focused expenses to save in the short term are finding their sales are flat as they look toward recovery. The Fed has issued statements proclaiming the end of the recession is near, but since so many marketing and sales efforts have been cut back over the past 18 months, pipelines are not nearly as robust as most would desire. Smart companies are scrambling to get out in front of their competition as tides change. Many are starting to fear that their best employees have "recession fatigue" and will jump ship as soon as the job markets open. I have heard from employees who work for companies, where the cut backs have been harsh, that they feel they have been good "team players" during the hard times -- but will look for new opportunities if they are not soon rewarded for their sacrifices by their current employers. Others fear that their customers might be experiencing a sensation of "out of sight is out of mind"... as they have abandoned many of their visibility programs and client appreciation efforts during the down-turn. Now these top contacts might be tempted to try competitors who are starting to reach out. Like a new shiny object, the competition might look appealing if they have not seen you in a while. Customers are also feeling the pains of the last year and are wanting to be associated with winners. The vendor who seems to be bucking the trends and standing tall is the one they want to associate with. My advice? Stop talking about how bad things are and start making your own success. Invest now in your employees and customers and show them that you are confident in your ongoing relationship. Re-engage your marketing and business development efforts and find ways to partner with those in your network for mutually beneficial results. All opportunities come from people. Embrace those around you and work together to lead the recovery. Spending another year in limbo is not going to help anyone. The time is now to position your company for success in the new economy. Last night was the book release party for "Batteries Not Included: 66 Tips to Energize Your Career". Special thanks to the sponsors who made the event possible: vcfo, Merrill Corporation, and Chez Zee Restaurant (all great companies and all great friends to support the book launch in this manner!). A large crowd shared in the celebration in Chez Zee's "Gallery" (this is a GREAT room for a party!!!). Lots more photos posted on Facebook. This guest blog is contributed by Chuckie Imaginary. He was my imaginary friend from ages two through five. 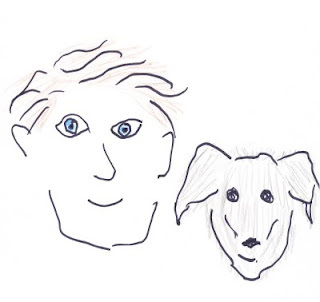 He was always accompanied by his dog Margo. Sometimes Margo was a person, (as my imagination had the power to transform the whole story/concept to fit the moment) ... but mostly she was a dog. I had not seen Chuckie and Margo for nearly four decades, but recently ran into them and asked him if he could contribute as a guest blogger to "The Some Assembly Required Blog". He believes in the power of creativity and imagination as an important tool that contributes to the success of all business professionals. You can follow him on Twitter (@ChuckieAndMargo). Chuckie is also available to speak at your next business event. By Chuckie Imaginary and his dog Margo. It is a hard life being an imaginary friend. When your real life friend is a little kid everyone thinks you are cute. They find your presence in the room to be funny. When it announced you are around, all the grown ups also pay attention to you. Some of the cooler grown ups will humor the situation by setting you a real place at the table. Some will even go as far as provide cookies and peanut butter & jelly sandwiches. While you cannot actually eat the goodies, having your own meal, accompanied by a glass of chocolate milk makes your whole day special. The more creative your real life friend is as a kid, the more adventures you get to experience. It is a lot of fun and your existence makes life just that much more better for everyone. You live in the imagination of a child, and thus your whole world is full of color, wonder, joy, hope, possibility, and make believe. Together you can do anything. You take each other to amazing levels of creativity and success. Sometimes you do have to take the blame for bad things that happen. The juice gets spilled on the table cloth, you can rest assured that "Chuckie did it". Messy room? Chuckie's fault. Crystal vase gets knocked over by a flying Star Wars action figure? Fingers are pointed right at ol' Chuck. But it is all worth it, as being an imaginary friend you relish in the connection with your real life friend. Besides, I probably was responsible for most of those mishaps. But then it happens. Your presence in the life of your real life friend begins to diminish. They start school and begin to acquire their own real life friends. Their parents and teachers no longer find their confiding in the "imaginary types" to be acceptable. They are encouraged to forget you. They try to hold onto you, but the peer pressures and efforts to fit in and not seem "weird" over power the joy they find in the imaginary world. So you are alone. I was lucky, as I had a dog. Many imaginary friends are just abandoned into solitary confinement. You are always there with them, walking a few steps behind your real life friend, trying to help him or her navigate the path of life. At 16-years-old, when they back the car into a light post you so wish that you could take the blame when they have to tell their dad. When they forget to mail a credit card bill you desire to get on the phone with Visa and explain that it was Chuckie who had not sent the check. When they have a fight with their spouse you want to leap out and claim the responsibility. But alas, you cannot. You spend forever wishing they could again embraced those childhood qualities. You see them facing difficulties and know that creativity and imagination could help them discover all sorts of unique and clever solutions to life's problems. Some imaginary friends follow along and never see any hope for their real life friend. As these people grew up they closed their creativity and imagination into a sealed vault. These imaginary friends are the most sad, as they have no hope. But for others there is hope. They witness flashes of brilliance that stream out from cracks in the facades that have been built around their persons. They know that deep down inside they have the desire and the ability to live in that state of color, wonder, joy, hope, possibility, and make believe that dominated their childhoods. These imaginary friends stay extra close. They whisper (or scream) suggestions to help guide their persons. On occasion they see the results of their influence and watch as their friends excel in their personal and professional lives by creating solutions that others did not see. I am lucky. My real life friend has always had his quirky side. While he conformed to the norms of society, he never really got past being a dreamer and a seeker. It has helped him build his unique career and pushes him to write, speak, and create. He still has a long way to go, but there is no doubt that he is on his way to embracing the more silly and playful side of life. If you are reading this and are wondering whatever happened to your own childhood imaginary friend, I am here to tell you that he or she is very close. They are part of your soul and have been there rooting for you all along. Just turn around and say hello to them. Welcome them back into your life. You never know where they might take you. 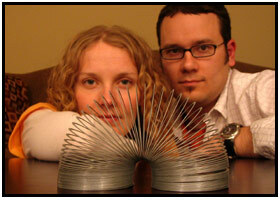 The most recent podcast interview on "The Some Assembly Required Blog" is with Kim and Jason Kotecki. They are fighting the battle against "Adultitis" and working to educate the world on the horrors of "growing up". The interview is full of information on how people can work to avoid being too serious and embrace their inner-child. Creativity and exploration are key to not being stuck in the cocoon of "old". Jason is a cartoonist and Kim is a former kindergarten teacher. Their new book, "There's An Adult In My Soup" is available on Amazon.com. They live in Madison Wisconsin and are the parents of a very cute little girl, Lucy, who never will be forced to grow up!!! Soon after I completed the interview with Kim and Jason I was walking down the street and ran into an old friend. I had not seen him since I was five-years-old, but there he was, walking his dog, Margo. I would have known them anywhere. It was, without a doubt, Chuckie. Sure, he is older now than he was in 1971. He is now 43-year-old -- just like me. He even looks like me - but better. Chuckie is more fit. In fact, he is in great shape. His hair is not thinning as much. He still has a mischievous twinkle in his eye, as he was the one always getting me in trouble when we were kids. You see, Chuckie was my imaginary friend from the time I was 2-years-old until I started kindergarten. He, and his dog Margo, went everywhere with me. When my aunt Catherine would babysit, I would demand that she make them each their own peanut butter & jelly sandwiches (That dog is at least 40 years old by now... who knew that PB&J would keep her so healthy for four decades!!!). He was always the one doing things like breaking a vase or eating all the Oreo Cookies. That silly Chuckie! Anyway, I ran into him and it turns out you can follow him on Twitter (@ChuckieAndMargo). He also a professional speaker (like me), and he offered to be the guest blogger on "The Some Assembly Required Blog" tomorrow. So check back and see what he has to say about creativity and not forgetting how to have some fun -- even when you are all grown up. Social Media Seminar This Tuesday - REGISTER TODAY! On Tuesday morning (September 15, 2009) I will be presenting a seminar in Austin, Texas with Steve Harper. The topic is "Leveraging Social Media" and it should prove to be a great discussion. Do you ever wonder if the whole social media thing is a fad? Do you get nervous at the thought of updating your Facebook "status"? Do you come up with excuses why you have never blogged? Are you Linked-out of LinkedIn? And does the whole concept of Twitter make you run from the building screaming? Or maybe you are a social media wiz-kid... but everyone else in your office thinks you are from Mars. (sound familiar? Drag your co-workers to this meeting!!!). Do you work for (or own) a business and you worry that your tardy arrival to the social media game is just a big invitation for your competition to take over your industry? The breakfast seminar is being hosted by the Austin Business Journal, and this is the first time that Steve and I have ever presented on the same stage. We have been working hard to develop an informative, entertaining and inspiring program. ****2013 UPDATE -- The New York Times writer Michael Winerip wrote a July 2013 follow up piece to the 2009 article on Michael Blattman (Link to acticle). Blattman was a 58-year-old professional who was laid off and hit hard by the recession. The 2013 piece shows what became of him since the original article (the original article spurred my blog post). I am thrilled that Mr. Blattman is happy with his career today. I know personally that success is not about the money, as much as it is about satisfaction in a job. However, I stand by my advice on this post from four years ago-- and I believe the suggestions hold strong for anyone else facing career transition!!! I got a note from a reader of this blog with a link to the story of an unemployed job seeker in New York City whose plight was profiled last week in the New York Times. The subject of the article is 58 years old man who was laid off from a financial services job eighteen months ago. The reporter did a good job of covering this man's tough story, which made me feel sorry for this guy. While he is having a rough time, the problem with the article is that it tossed out the details of his saga as "the way it has to be" for someone over fifty who got that pink slip. The article is filled with red flags of mistakes that the man made along the way. Not just in his post lay-off time, but also throughout his career. It was clear that while he was very successful, he had not built a strong enough network of professional contacts and did not establish the long lasting mutually beneficial friendships. There is also no advice for him, or others, on ways to improve employment chances. My intent of this blog post is not to pick on this guy, I hope that his situation turns around and he finds the right job, but I also hope he reads this post, as I think it has some good suggestions to help anyone who is out of work and looking for a job. Before you read the below, read the article that sparked my post. 1. Pride Kills Opportunities. Never be afraid to reach out to your network. If you have properly invested in establishing real "mutually beneficial" relationships with others, they will be there to help you in your hour of need. After being laid off in January 2008 the gentleman in the article decided to move from Florida to New York City. His assumption was that there would be more job opportunities in the Big Apple. He had not lived in Florida very long, having moved there from Maryland following a divorce. The article pointed out that he "couldn’t go back to Maryland, tail between [his] legs".... but that might have been the better move. The financial services industry hemorrhaged jobs in New York soon after he arrived, and since he had spent many years raising his family in Maryland, that is where his strongest network connections would have been located. Worried about the "tail between his legs" was probably more in his head than the reality of how his friends would have judged him. Real friends would have been glad to have him home and happy to help him in his time of need. Strangers in a strange town have no history, and thus it is harder to establish those referral connections that come with a long term friendship. 2. Blindly sending resumes does not work. No matter how good you are, a blind inquiry will most likely not produce interviews. The man stated that he mailed 600 resumes and only got 3 interviews (two by phone). He also thought it was rude that most companies did not even acknowledge receipt of his information and he was disappointed that recruiters were not helpful (and not returning his calls). The reality is that companies are getting thousands of resumes for every open job. They cannot talk to everyone. Recruiters spend their time with people who are marketable. They make their money by placing people in jobs, so if they do not see you as marketable, they move on. Those who are getting the interviews are the candidates who have found a way of standing out from the pack or have strong industry connections and reputations. Those people who spent years networking and helping others consistently are the ones who got hired first. This is not an employment issue.. it is a personal marketing and branding issue. I wonder if the guy in the article is making himself seem unique and valuable or if he is seen as another laid off worker in need of a job? Having not seen his specific efforts I cannot judge, but my guess is that he has not positioned himself as a "must have" product. 3. A bad attitude will keep you unemployed. How you think about your own situation will have an impact on your success. This is BS. Lots of people who have HUGE career successes in any economy have no degrees. This guy has an MBA, so he is just grasping at straws on this quote. He seems to have a complex that he does not have the "right" experience for a series of different industries. Well nobody has all the things needed for any job. I once knew a woman who had the perfect resume and experience for a job. She even knew the hiring manager personally. The position went to someone else who had no industry experience, but had the right skill sets and the attitude the company wanted. Details can be taught, attitude cannot. Job seekers need to look to how their experience translates into any job. Companies often hire people from outside industry because smart managers know that an outside point of view can often be more successful than someone who is just like everyone else on the team. View your lack of direct experience as a positive trait that makes you stand out from other candidates and, just maybe, the decision maker will agree. He adds, “Here’s the reality, I used to be somebody, I had a job. Not anymore. Everything ground to a halt. No sense of purpose. No self-esteem.” --- That attitude will kill all chances of getting hired. Who wants to bring that negativity onto their team? Even if you feel that your self-worth is tied to your career... never say it out loud (we are all much more than the title on our business card!). Own your attitude and know that there is always opportunity. Your beliefs will help create your reality. 4. Don't just focus on yourself. Help others. Even when you are having a tough time, finding ways to helps others can make you feel good and bring good karma. There was no talk in the details of his daily schedule that he was actively volunteering or participating in job seekers support groups. He eats at a diner, writes fiction, and seems to go to museums a lot, but his time would be better spend seeking ways to help his fellow man. Many non-profits and churches have very vibrant job groups where members meet to share information, ideas, and moral support with each other. If he worked to help others improve their job search activities, he would be pleased with how many people would then be looking out for him as well. There are countless charities that need volunteers. In just a few hours a week he could find some of that self-esteem that he said he has misplaced by making a difference for those in need. Additionally, when hiring managers ask him what he has done during his time off from work, it is much more impressive to list how you have tried to make a positive impact on the world rather than just being self-focused. Sitting in a diner writing fiction does not excite potential hiring managers. As I mentioned, I don't want to pick on the guy who was profiled in the New York Times. Instead I wanted to help him. 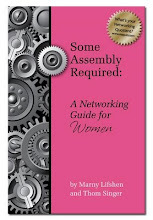 I reached out to him and offered to send him free copies of my books "Some Assembly Required: How to Make, Grow and Keep Your Business Relationships" (New Year Publishing, 2007) and "Batteries Not Included: 66 Tips to Energize Your Career" (New Year Publishing, 2009). 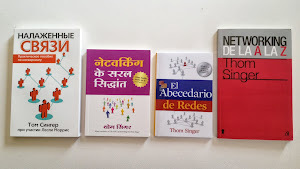 Both books are full of ideas that would be ideal for a job seeker who needs to tap into their network, and beyond, for help them find their next opportunity. (***Update... I never heard from him). It is a word of mouth industry. Unless you are already a celebrity you cannot just assume that people will be interested in hearing your presentations, especially when you expect to be paid. It can several hundred presentations before you begin to see the rewards. Having been on stage hundreds of times the last few years and talking to over 10,000 professionals, I know that word of mouth takes time and you cannot force a viral campaign of getting people to refer you to opportunities. It is like going to Hollywood. Why does Brad Pitt receive over $20 million per movie, -- meanwhile there are thousands of handsome, talented actors (with great abs) who are waiting tables on Sunset Boulevard? Pitt has established a platform and a reputation for delivering a great performance, which did not happen over night. He started by taking acting classes, modeling, getting small parts in soap operas and other shows, then supporting roles in movies long before his name was on the marquee. People view newcomers in any industry as an "overnight success" - but what they fail to realize is that they have spent years perfecting their skills and doing all the right things that have lead them to the levels of fame that they suddenly have achieved. Often five or ten years of work goes past before they reach the top. The same is true with a professional speaker. Just as a movie producer would not give a novice the lead role in a big budget film, those who hire speakers do not want to just select anyone to address their conference. They are looking for experience and expect that their audience will be educated, engaged and entertained. 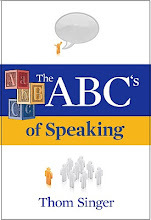 I have spent over five years focused on the craft of speaking. I am very fortunate to have built my business, and now I get to work with interesting clients in a variety of industries. Speaking at corporate, law firm and industry conferences is for me the most rewarding part of my writing, speaking and consulting career. If you are interested in talking with me about speaking at your next event, please contact me for a discussion to determine if my presentations and speaking style are a match for your audience. Another video clip from "Batteries Not Included: 66 Tips to Energize Your Career"
Purchase a copy of Batteries Not Included for yourself or anyone who wants to energize their career. Available at Amazon.com. Someone asked me the other day "how are you doing?" Without thinking I replied "I am living my dream". My response was not flippant, it was not a gung-ho / rah-rah statement...., it was a matter of fact comment that had sincerity. This created an awkward silence. My friend stared at me for what seemed like ten minutes. He later told me that my response caught him off guard. He did not know why, but he said he was quiet as he did not know how to respond. Most people reply "fine", "great", "okay".... but never "I am living my dream", and that my statement left him wondering if he was living his dream. He was unsure. He was happy, but was it his dream? Are enough people are living their dream? Do they even know what they long to do in life? Are we encouraging our kids to go for their life's desires? I have no advice or answers, it just has been on my mind. My friend (and editor), Leslie Morris, has some great ideas on her blog for those looking for flexible work situations. With school back in session and the economy still uncertain, many people are looking for additional sources of family income. Leslie was climbing the corporate ladder until 10 years ago when she launched her own business. This move gave her greater flexibility around her growing family...and she has never looked back. People often turn to her and ask her "how?" CLICK HERE to read all her thoughts. The industrial revolution moved our society from rural agricultural economies into a world where factories, cities, dense housing, mass transportation and organized labor dominated. The communications and technology revolutions brought about more changes that took us into the information economy that most of us have grown up in. Today we are experiencing additional changes that are directly impacting those of us who work in professional services industries (law, accounting, consulting, education, banking, sales of all kinds, etc...). We are seeing a shift from the information economy to the relationship economy. If you think I am 100% wrong and are not willing to explore the concept, then you might have your head in the sand. The above mentioned changes all took place in the last 120 years. My grandfather was born on a farm in Ireland and migrated to the United States as a teenager in 1900. He worked in manual labor jobs and the thought of an information economy, much less the next level of a relationship economy was not imaginable. I am his youngest grandchild and in just two generations the world is so different that it would have seemed far fetched science fiction to him. Basic realities morph faster in 2009 than they did in his time. Throughout recorded history there have been changes in society, and there have been those who ignored the shifts until they were left behind. Sure, the lucrative horse whip industry was crushed by the automobile, and we all laugh at the thought by today's standard. But nobody who made whips was laughing at the time. You need to be thinking about what differences around the bend could cripple your company (or industry), and looking for ways to lead the change. 1. Your Professional Network. Sure, you have all heard about networking, and most people think that they are good at it (but many are wrong). I hear all the time from professionals that they have a great network, but few people can point to the last referral they have given or received from those in their circle of influence (Key here is when did you last give a referral. If you are not giving, that is why you are not getting!). All opportunities come from people and you must be committed to spending the necessary time to cultivate mutually beneficial relationships. You cannot turn your networking efforts on and off like a light switch or you will never see results. In the two weeks have you canceled a meeting with someone in your network, or skipped attending an event, because "something more important" came along? 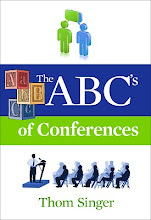 I see professionals all the time who rank every activity as an "A", "B" or "C". They tend to make networking a "C", and then they wonder while others do not appreciate the relationships they think they have built. 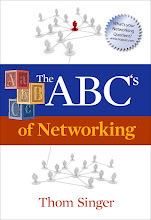 Make your network an "A" priority. It is your safety net in all economic conditions! 2. Creativity. If you are not being creative in how you serve your clients, then you are just part of the noise in your industry. We all naturally think we are unique and deliver high quality work product to our clients. But doing good work is just the ticket to be in the game. Everyone of your competitors is doing good work (well, most), and they are all claiming they are the "best" when they talk to your clients and prospects. It is confusing to the buyer, especially when your company looks identical to all others in your space. When I visit the websites of law firms, accounting firms, consultants, banks, etc... I rarely see anything creative. They all play it safe, and thus they all look like twins. The same is true when I speak with these professionals. YIKES, most have a tough time telling me anything about their offering that I cannot follow up with "why is that different from you competitor?" without them looking like a deer in headlights. Professional services firms are vanilla. Buyers can get vanilla anywhere, and thus it comes down to price. Avoid being a commodity if you want to thrive in the future. Explore creative ways to serve your clients at EVERY meeting. Make sure that your co-workers feel comfortable suggesting "out of the box" ideas and that you reward those who expand the collective thinking of your team. If you are not looking for ways to implement creativity into your company, you will die. People are naturally drawn to companies and individuals who show ingenuity and are willing to try new things. Humans have never embraced "yesterday" or we would still all be living on the farms. 3. Social Media. I am not claiming that blogging, Facebook, Twitter and other social media tools are for everyone (LinkedIn is for everyone in business. If you do not have a vibrant LinkedIn profile you are considered out of touch by more people than you think!). But if your company does not have an online branding strategy that includes social media, you are being left behind. Not each professional in the firm needs to be active in this arena, but someone HAS TO BE. Clients and prospects are looking for you to be part of the conversation. Hide and you are invisible. Make sure that your company has somebody who owns your online image and reputation. Do not assign it to just anyone, as this is like a garden in need of cultivation. Ignore it and the weeds will choke out all the value you can have from the online real estate. If your firm has avoided all this social media hoopla up until this point that is a clear sign that you are missing the boat. This is NOT a fad! There has been so much attention paid to the various social media communities that if you have decided they are useless (without having explored them), you are being foolish. Rationalize it all day long, but there is something happening here. While the changes that are coming may be minor, and are you willing to risk your future on the idea that your industry will not be impacted by a "relationship" economy? What if you are wrong? Your connections to others and your personal and professional brand are more valuable than ever. Take ownership of how you are positioned and ask the hard questions of your employees and customers about how you are doing in regards to what we have discussed in this article. There are many companies who mistakenly believe they are cutting edge, only to be viewed by everyone (inside and outside) as a disaster. OUCH. 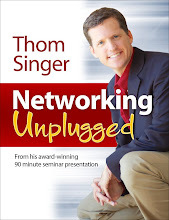 *** Thom Singer offers customized individual programs to help professional service executives explore and understand the best ways to create and cultivate their network, brand and online impact.